The government of the Democratic People’s Republic of Korea has announced that the test-fire of a newly developed intercontinental ballistic rocket Hwasong-15 was successfully carried out. It states the ICBM Hwasong-15 type weaponry system is an intercontinental ballistic rocket tipped with super-large heavy warhead which is capable of striking the whole mainland of the U.S. It was stated that the rocket, after making a 53-minute flight along its preset orbit, accurately landed in the target waters set in the open sea in the East Sea of Korea. The attempt by the government to postpone the election to conceal its impotency would be defeated and measures would be taken to win the right of the people to vote said the Leader of the JVP Anura Dissanayaka. 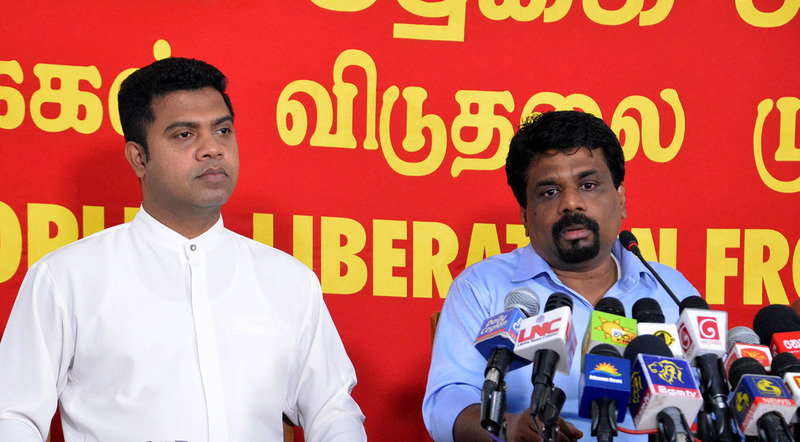 Spaking at a press conference held at the head office of the JVP at Pelawatta today (28th) Mr. Dissanayaka said all measures would be taken in Court to defeat the attempt to postpone the election. However, if this attempt fails they would take the issue to the streets to get it solved said Mr. Dissanayaka. The Member of the Central Committee of the JVP, Kalutara District Parliamentarian Dr. Nalinda Jayatissa too was present. Mr. Dissanayaka said, “The stand of our party regarding the uncertain situation of holding the local government election should be explained. The official term of a majority of local government councils terminated in March 2015. Holding the election has been postponed as a result of various political reasons as well as technical difficulties linked with the election. The UNP, the Maithri faction of the SLFP as well as the Mahinda faction continued to push for postponements. The UNP hoped to create an advantageous situation for them before holding the election. Maithri faction wanted to show it still maintain the 6.2 million votes it got at the presidential election. Going to the election on their own would expose the true voter base which would be a political self-destruction. This is why they followed the scheme to postpone the election. Mahinda faction despite displaying on the surface that it was carrying out a struggle to win the election engaged in a scheme to cover up its inability. As technical reasons, it was necessary to change the local government election system and delimitation process Basil Rajapaksa had compiled and followed. For this process was compiled at the residences of SLFP organizers. This distortion had to be corrected. We, as the JVP, participated in all these matters. Commission report of delimitation by Mr. Asoka Peris’ Commission was passed in February 2017. The Gazette was released in September. There was no obstacle to hold the local government elections. We accept the right of anyone going to court regarding their grievances. However, we are not prepared to allow anyone to use the judiciary to postpone elections deceitfully. It has been established that the petitions filed at the Court of Appeal is a shady political game of the Maithri faction. Anyone had time since February this year to file a petition. No one had taken such a step. This is an insincere political move. We assure the people in this can that we would do everything possible as a political party to defeat the sinister move and get the election for the people. We will also see that the election would be a victory for the people. We would initially follow the Parliamentary process to win the election for the people. It would be our first approach. We will also take legal action. Already, the Attorney General has filed a motion to get the hearing of the petition advanced. We would deploy our own team of lawyers to expose in Court the politics of the postponement. The easiest process to get the issue solved is the judiciary. Whet the petitioners should do is to withdraw the petitions. We would be very watchful regarding the moves that would be carried out in Court on the 30th. Also, as a third process, we have already held public agitations in Akuressa and Malabe areas. We would get a river of people to Colombo on the 30th to launch a protest movement against the attempt to constrict people’s right to vote. If it is necessary to settle this issue on the road we would gladly intervene. If the petitions are not withdrawn in Court we would definitely rally the people and would assure that we would win the people their right to vote. Parliamentarians of the UNP have been banned from holding media conferences without the permission of party stalwarts say reports. This ban has been imposed by UNP Leader Prime Minister Ranil Wickremesinghe. The order has been given when UNP Parliamentarians had their group meeting yesterday (28th). Prime Minister had stated anyone holding a press conference should get his approval. If he was absent they should get the approval of the Leader of the House, Chief government whip or the General Secretary before holding a media briefing he had instructed. The Attorney General today submitted a motion to the Court of Appeal requesting to call the petition filed again the delimitation Gazette for local government councils notification on 30th November say reports. The motion states that the Elections Commission has decided to hold elections for 93 Local Government bodies, which have no legal dispute but elections to several other local government councils cannot be held due to the stay order and this would affect the right of the people to vote. The Court of Appeal had issued a stay order suspending the Gazette notification in connection with the delimitation process issued by the subject Minister. India defeated Sri Lanka by an innings and 239 runs to take a 1-0 lead in the ongoing three-match test series. India outshined the visitors in all departments of the game as Sri Lanka lead by Dinesh Chandimal once again failed to put up a fight. It is India’s biggest Test win and Sri Lanka’s biggest defeat. Scores: India 610 for 6 dec. (Kohli 213, Pujara 143, Vijay 128, Rohit 102 not out) beat Sri Lanka 205 (Chandimal 57, Karunaratne 51, Ashwin 4-67, Ishant 3-37, Jadeja 3-56) and 166 (Chandimal 61, Ashwin 4-63) by an innings and 239 runs. Nominations for LG election from 11th to 14th Dec. The Elections Commission stated that elections for 93 Local Government bodies will be received from 11th December to 12 noon on 14th December. The notice calling for nominations for 93 Local Government bodies was issued by respective returning officers today (27th). It is also said that deposits with regard to the elections can be made with effect from today. The time period for making deposits will end at 12 noon on 13th December. The Minister of Local Government and Provincial Councils has decided to release an amended Gazette today (27th) after correcting printing errors that had occurred regarding 40 councils. Elections to 40 councils could not be held as there were minor errors in names of local councils and when naming Grama Seva areas in the Gazette. The Commission would be able to hold elections to these 40 councils once the amended Gazette is released. The Commission has already decided to hold elections to 93 councils. If the amended Gazette is released 40 more councils could be added to this list. The number of local government councils in the country is 341. It is reported that the UNP representatives have told the President that the UNP could form a government without the support of the SLFP. As such, they have emphasized of there was a plan to contest the local government election the Maithri faction should withdraw from the MoU that was signed between the UNP and the Maithri faction to form the ‘yahapalana’ government. Mr. Mangala Samaraweera has emphasized to the President that merging with the Mahinda faction while staying with the government formed uniting the UNP and the Maithri faction would be against the mandate received. He has pointed out that the UNP can form a government as it has 105 Members in Parliament and there were many others who would join them. 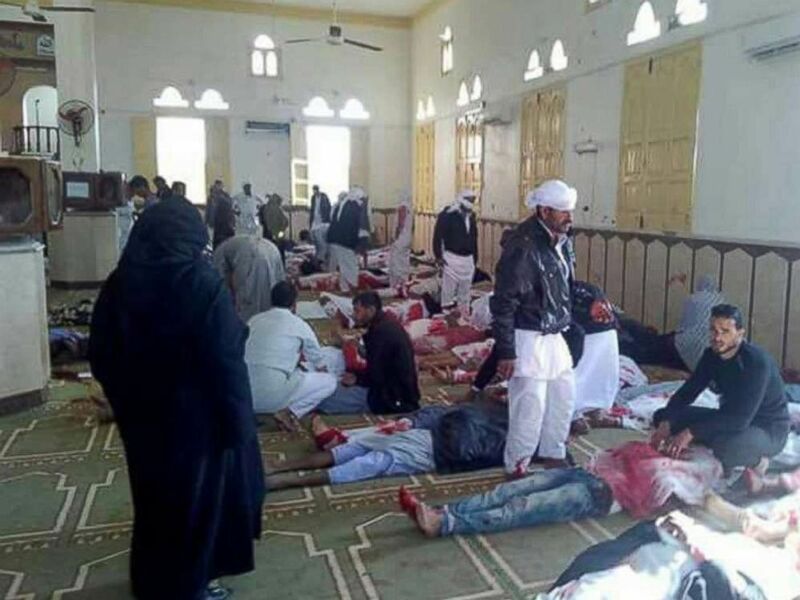 The death toll in a bomb and gun attack on the al Rawdah Sufi mosque in northern Sinai in Egypt has risen to 305, with 27 children among the dead, Egypt’s state prosecutor said Saturday. Another 128 people were wounded. According to foreign media between 25 and 30 armed men carried out assault. The attackers wore military combat uniforms and were armed with automatic machine guns. Some wore masks and at least one was carrying an ISIS flag, the state prosecutor has said. They positioned themselves at the building’s entrances and the front of the mosque shortly before the massive gunfire and loud explosions rang out. Arjun Aloysius, connected with the infamous bond scam, never spoke to any JVP member representing the JVP in the Committee On Public Enterprises (COPE) and if he did so it would have been revealed before the media within 24 hours says the Chairman of COPE JVP Parliamentarian Sunil Handunneththi. Mr. Handunneththi said this making the keynote address at the Convention of Akuressa ‘Dhiriya’ Citizens’ Associations held at Akuressa on Friday (24th).